When visual artist and graphic designer, TTK first heard N.O.R.E.’s ‘I Love My Life’ in the summer of 1998, he couldn’t have imagined that the song would be the inspiration for his current book, See What I’m Sayin’ Vol 1. The book is colorful collection of cleverly illustrated drawings inspired by hip-hop lyrics, mainly from the 90’s. 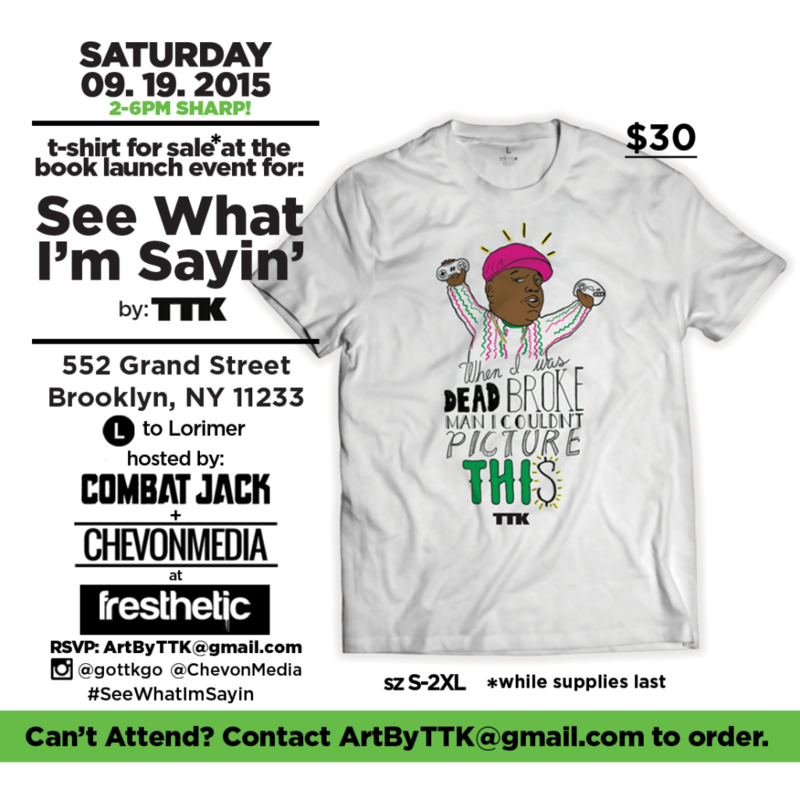 The book showcases TTK’s design skills, his love for of Hip-Hop, as well as the lighter side of his views on social issues. TTK’s artwork has reached thousands of fans on social media outlets such as Instagram, Twitter, and Facebook. His weekly column with Frank151, has connected with over 20,000 readers. TTK has also collaborated with UpNorthTrips.com in Feb 2015, for their Instagram artist takeover series. 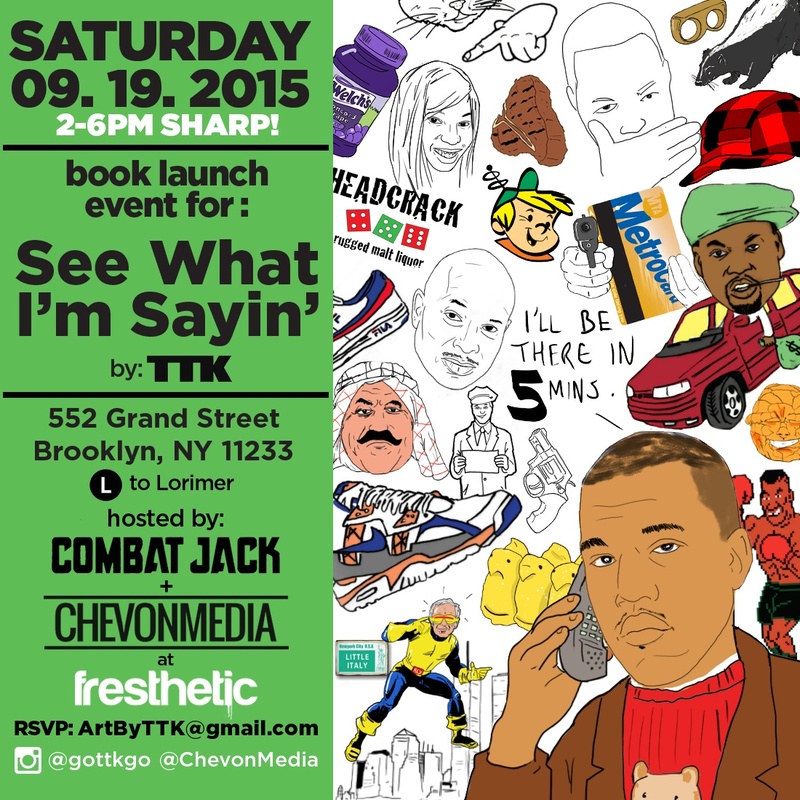 The book/T-shirt release of See What I’m Sayin’ Vol 1, will take place Sept 19th from 2-6pm at Fresthetic, in Williamsburg, Brooklyn. This will be a limited. release. TTK is a Brooklyn based artist with an international audience from California to South Korea. He is known to infuse social concerns, his favorite pop icons, fashion, sports and music into his work. 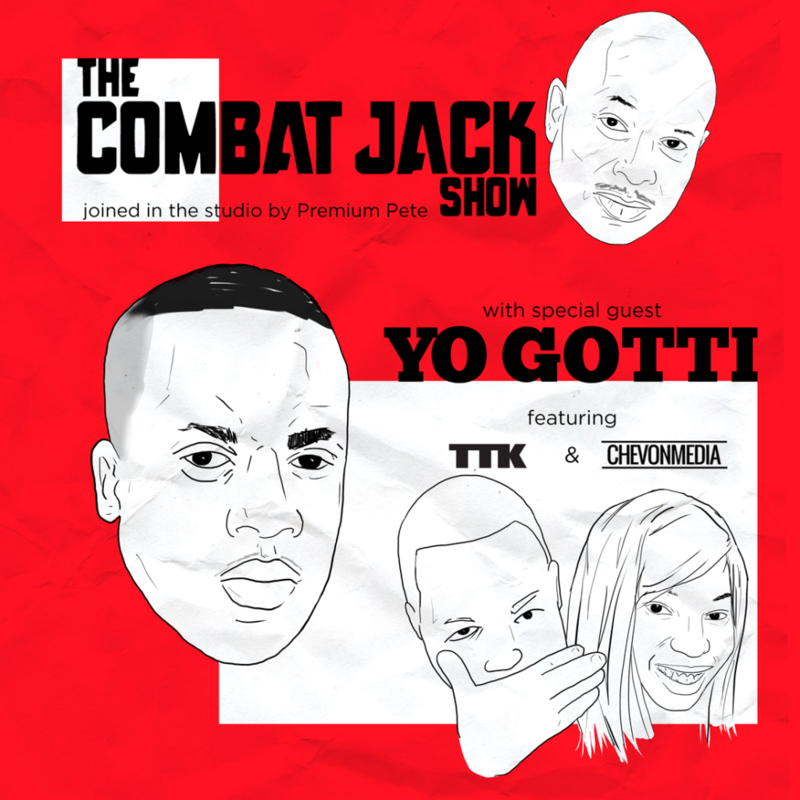 Independently, TTK has worked with Frank151, Ricky Powell, Just Blaze, Bobbito Garcia, Rocawear, The History Channel, and Dime Magazine. « Peep My Words: Long Live Sean Price. Long Live All Of Us.